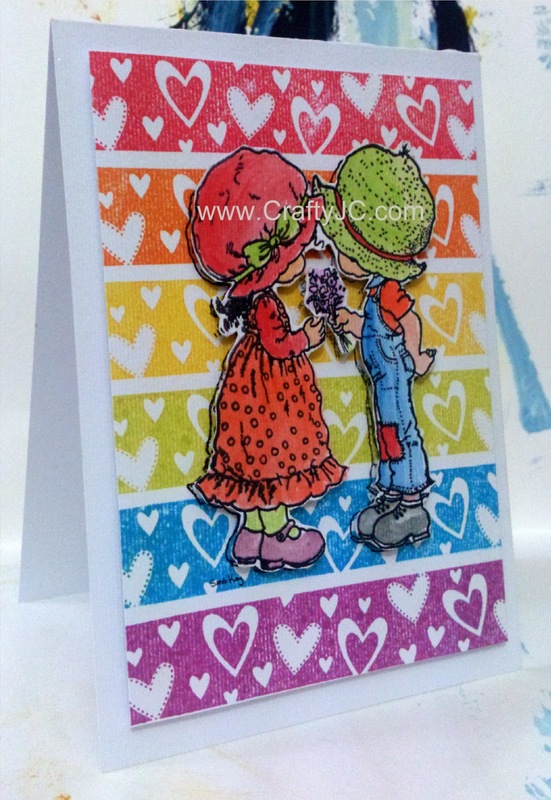 Stamped a white panel with the hearts border in rainbow colours, stamped the couple directly on the panel, and then stamped the couple in another card stock, which I then water coloured. I hand cut the couple image and mounted it on the panel.. the whole thing was then mounted on the base card stock. 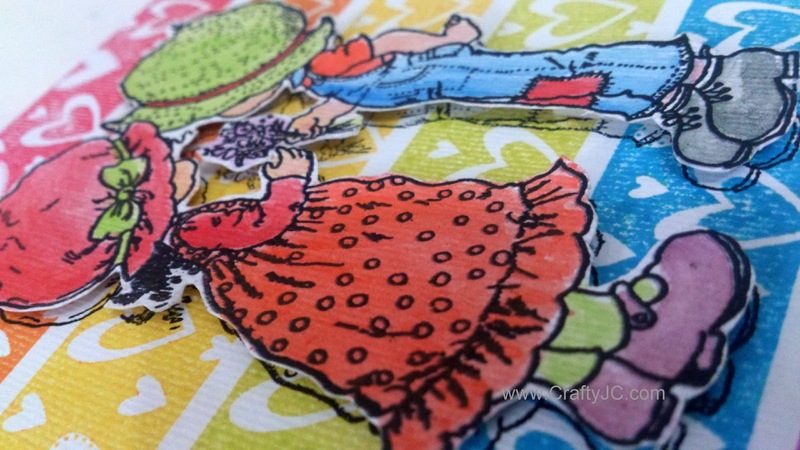 The image is colored so beautifully Jaya and I had to smile reading your comment on my pop up card cos you are tempting me to try coloring and stamping more !! !